The Hong Kong Economic and Trade Office, London (London ETO), sponsored a theatre performance "Citizens of Nowhere?" which was played at the restaurant Duddell's in London on January 31 (London time). It is a live audio drama about a British-Hong Kong family dining in the restaurant and plays out in real time. 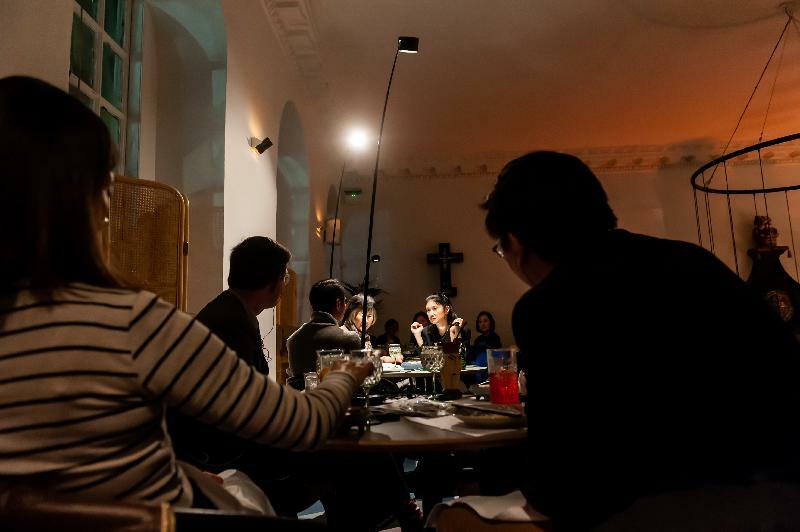 The audience 'listens-in' to the conversation of the family through a unique system of microphones and headsets, while eating a meal themselves. The play was commissioned by Chinese Arts Now which is an organisation funded by Arts Council England. It supports and commissions British-Chinese contemporary performing arts. "Citizens of Nowhere?" is part of the first ever Chinese Arts Now festival. It was written by award-winning Chinese/Welsh writer Ming Ho, directed by Hong Kong-based David Jiang, and featured actors who have a close connection with Hong Kong. 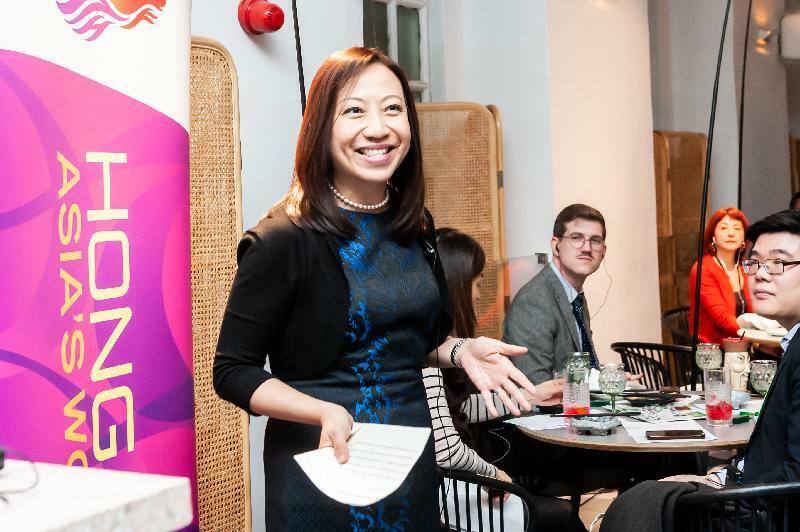 Speaking after the performance, the Director-General of the London ETO, Ms Priscilla To, said, "It is our great pleasure to once again showcase the talent of Hong Kong’s creative sector on an international stage. 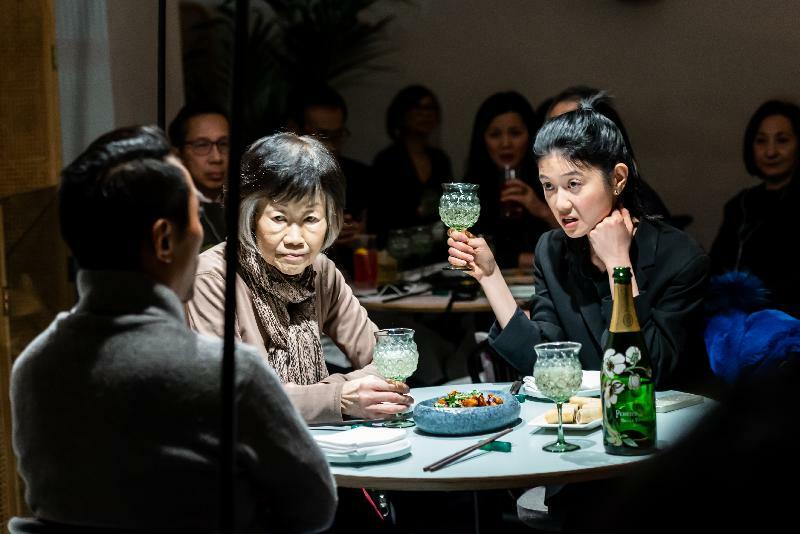 It is a very unique experience to see a play at a real restaurant that features the conversation of a British-Hong Kong family over dinner about the generational and cultural identities of British Chinese. Congratulations to all the cast and to the writer, Ming Ho, and director, David Jiang, on a great performance." "Citizens of Nowhere" runs until February 2 at Duddell's in London, then will move to Nottingham on February 4.